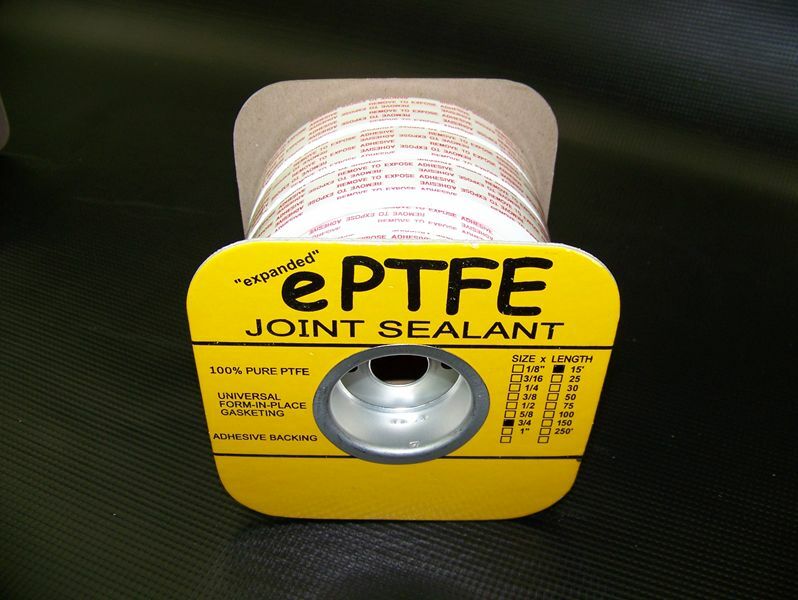 Rasmussen offers 100% pure PTFE joint sealant, a universal form-in-place gasket with peel back adhesive backing. 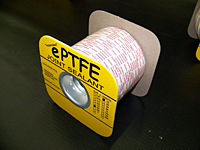 ePTFE Joint Sealant is manufactured in the USA from 100% Virgin expanded PTFE. 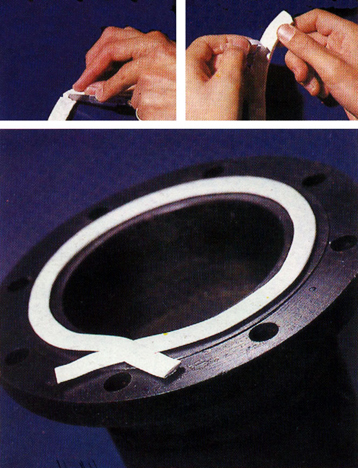 It is interchangeable with other leading brands, and comes in 1/8″, 3/16″, 1/4″, 3/8″, 1/2″, 5/8″, 3/4″ and 1″ Widths and in Standard or Bulk Lengths. It has a full pH Range of 0 to 14 (except for fluorine and molten alkali metals), and it is fully compatible with petroleum products. 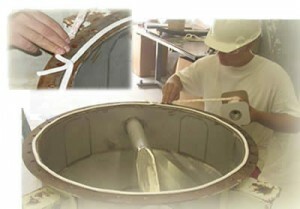 The temperature range is -450 to 600oF, allowing use in a wide variety of environments up to 3000PSI. Installation instructions are included.